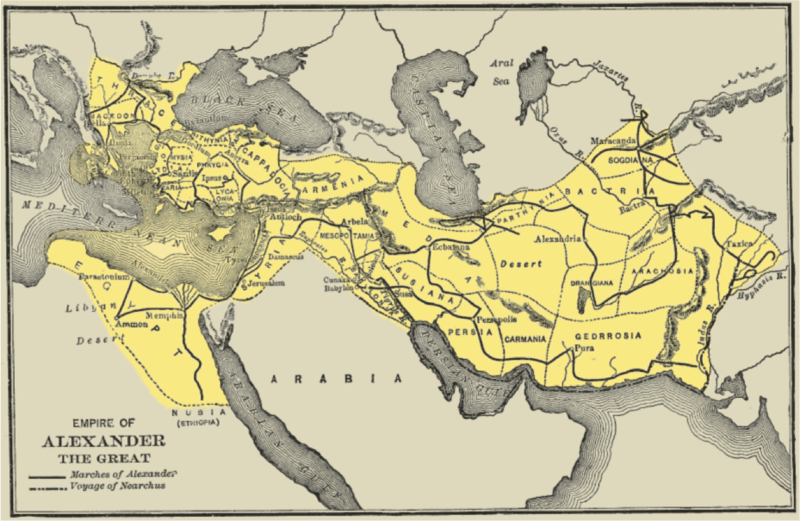 During the time of the Achaemenid Dynasty, Persians were able to conquer most of the known world. Persian leaders, such as Cyrus, fought to conquer and control land and people from Ionia in Asia Minor, South to Egypt, and as far east as present day Afghanistan. Instrumental in the Persian’s conquest were their weapons and battle tactics. One of these lethal weapons was the Persian Bow. With a range of around 500 feet—almost two football fields—the armies of the empire of Persia were able to rain down death from above. Although they often took 18 months to manufacture, the Persian bow and the two major innovations it contained, was well worth the wait (“Iranian…”). One of the contributors to the lethality of the Persian Bow was the fact that it was made of composite materials. 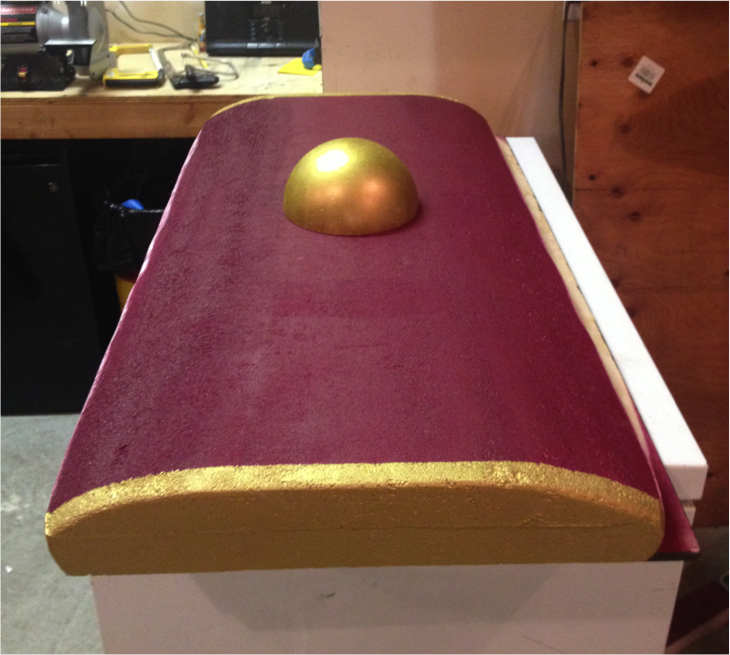 The bow had a wooden core. Strips of horn were glued to the belly, while sinew was attached to the back. Both of these measures were meant to reinforce the weapon. This technique was so effective, that it allowed the bows to have the same amount of power as much larger weapons of the same nature. It packed a great amount of power in only a 48-inch frame (Dwyer and Khorasani 3-4). 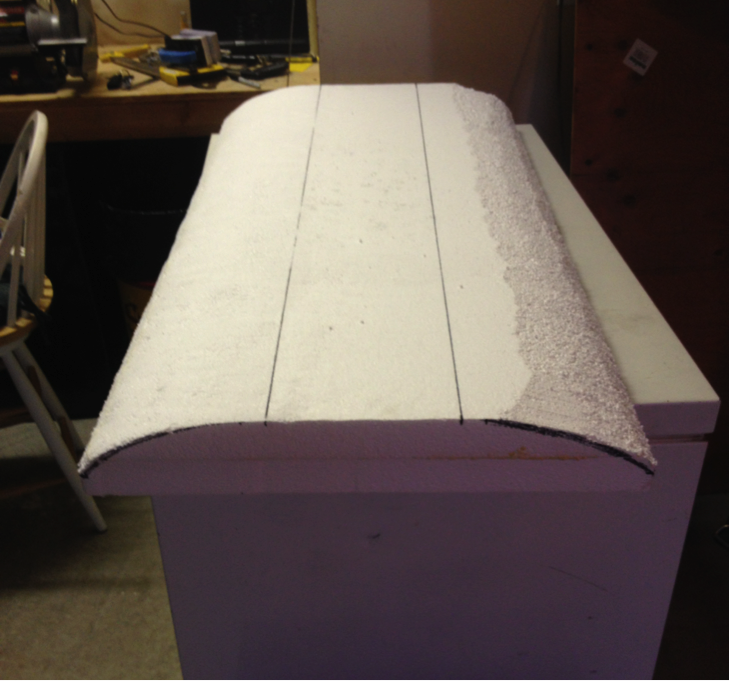 Perhaps the best advantage to the Persian Bow was in its recurved design. Traditional long bows of other periods were only a long, bent piece of wood. The major drawback to this was the fact that the resistance was the same all the way through the draw. Persian craftsmen bent the ends of their bows back towards the grip (as seen in the picture below). This, like its composite make-up, allowed the bow to pack more power than a traditional long bow. More importantly, this innovation made it so that there was less resistance on the string the father back it was pulled. Tired archers were given a great psychological advantage and were allowed to stay deadly despite fatigue, because of this decrease in draw pressure (Dwyer and Khorasani 5). Though the composite nature and the special curves of the bow gave it deadly capabilities, it would have been nothing without the arrows to go with it. Perhaps the most important part of the weapon set, the shafts of the arrows were often made out of wood or reeds, the simplest of materials. Reed material was preferred because it had great strength for how light it was (Dwyer and Khorasani 5). 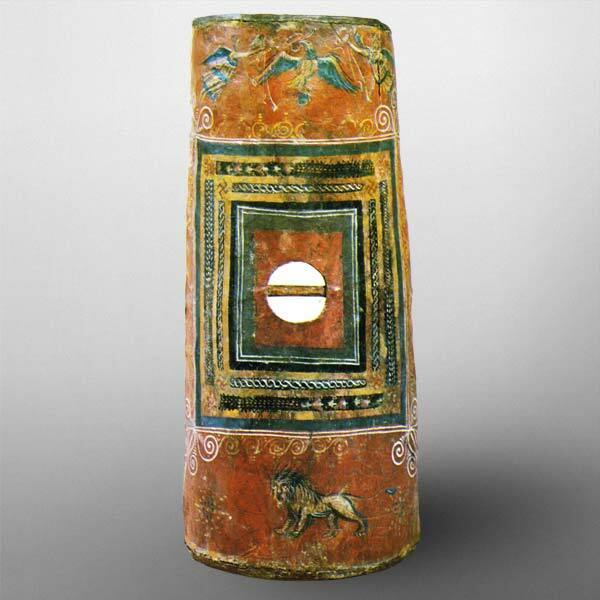 The arrows were tipped with bronze or iron heads to pierce the armor of the Persian opponent (Shahbazi). Together, the Persian Bow and its complementary arrows were a match made in military heaven. 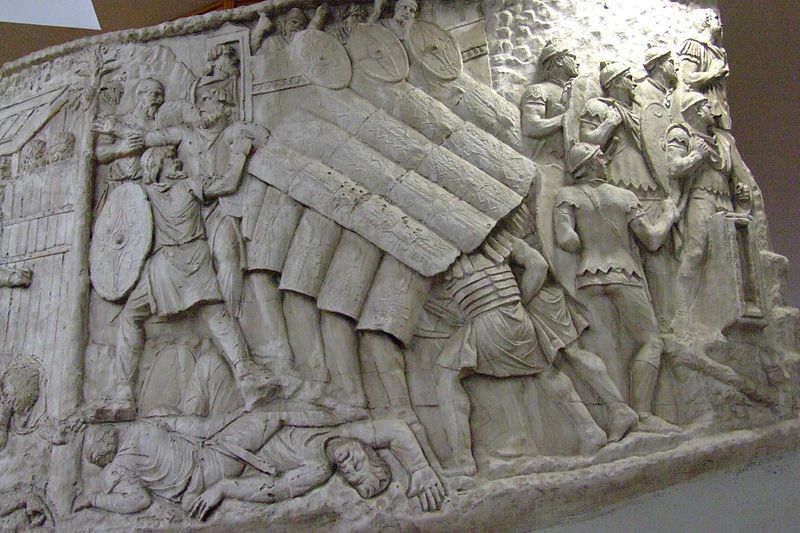 They truly were a destructive force that enemies both feared and respected throughout the Persian conquest. Dwyer, Bede and Manouchehr Moshtagh Khorasani. 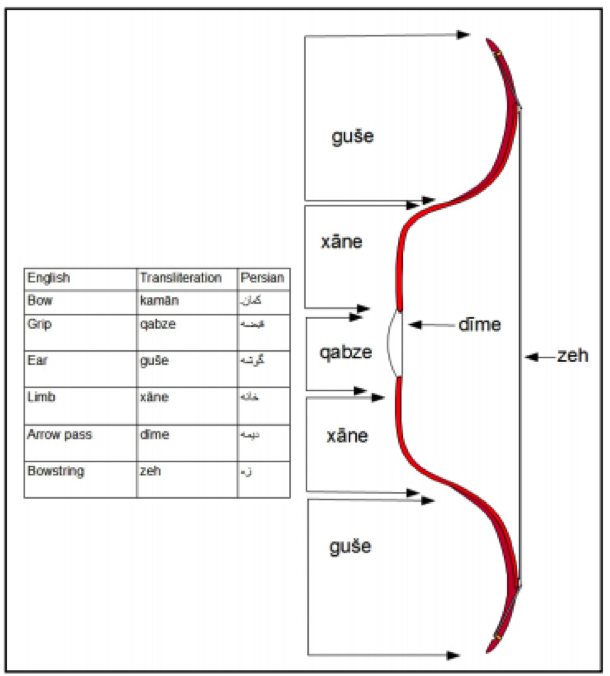 “An Analysis of a Persian Archery manuscript written by Kapur Cand.” Revista De Artes Marciales Asiaticas 8.1 (Jan-June 2013): 1-12. EBSCO. Web. 4 Feb. 2014. Shahbazi, A. Sh. 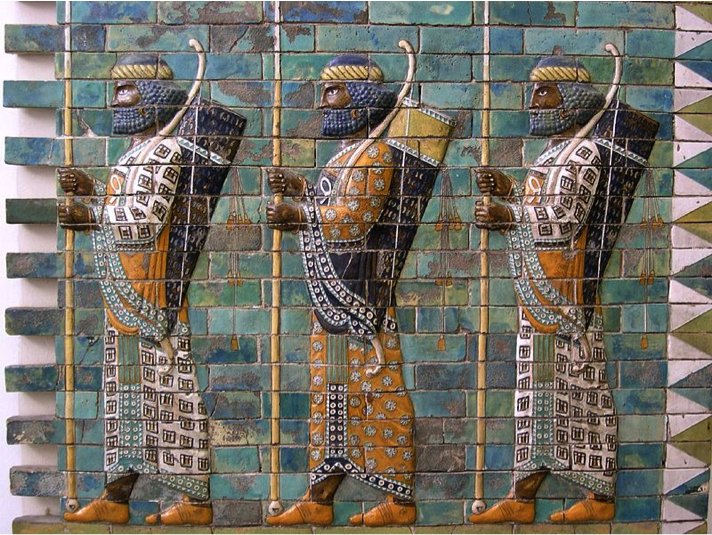 “History of Iran: Achaemenid Army.” Iran Chamber Society. Iran Chamber Society. 2014. Web. 4 Feb. 2014. “Iranian Archer – Soldier Profile.” Military History Monthly. Current Publishing, 10 Nov. 2010. Web. 4 Feb. 2014. 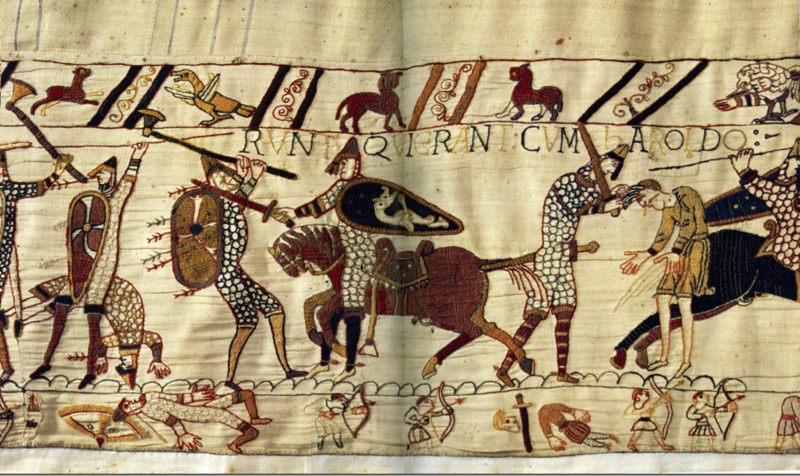 Panel 70 of the Bayeux Tapestry can be seen as the epitome of what went on during the Battle of Hastings in 1066 (Wilson 194). Bloodshed emanates from every inch of the cloth. While it is clear that many men, as well as the British King Harold, are losing their lives, certain details still are not understood. The basic who’s who in the tapestry can be discerned by historical hints based on weaponry and garb or by textual clues around the images. Small events of the battle may still be unknown due to the lack of inscription or the loss of records. In the center of the panel is a man on horseback cutting down an enemy soldier. Carnage envelops him on both sides. The panel prior to the soldier shows him and his fellow cavalrymen charging the opposing infantry. To highlight the butchery, it also contains an inscription reading, “Here the English and the French fell at the same time in the battle,” (Hicks 17). The charge seems to be a synergistic attack between the cavalry and a group of archers. In the bottom border, under the horseman, the archers have the angle of their bows held high, raining down arrows on their adversary in the next frame. It seems that they have hit their mark in frame 71. A man lies on the ground dying, while also having his leg hacked at by a horseman. Next to him is his weapon, a battle-axe. Also, the dead man seems to be wearing different, more vibrant colors than those around him. This is a clue about his status. Earlier in the tapestry Harold, Earl of East Anglia, is shown meeting with King Edward of England. The man announcing Harold to the King is holding a battle-axe. This is the first time that an Englishman is seen sporting an axe in the tapestry (Rud 55-56). This sets a precedence in the coming panels of the piece in that a soldier seen wielding an axe is most likely an Englishman. This allows the viewer to be able to discern who is who in the mass of soldiers in panel 70. It also gives a great clue about the man dressed so fancily in the next panel. It is known that in the final stages of the Battle of Hastings, William the Conqueror told his archers to aim high to rain down arrows on Harold (Rud 86). This is interesting when one considers panel 70. As said above, the archers in the bottom border were aiming high. This is not a coincidence when one takes into account the man dying in panel 71. Both the angle of the archers bows in panel 70 and the standout in color of the man’s clothes point to one thing. The man dying in panel 71 is Harold, King of England. One final thing that supports this is the inscription above this man. It clearly says in Latin, “Here King Harold has been killed,” (Wilson 173). Together, these three clues; be they text, coloring, or interpretation from earlier imagery, tell the viewer that panels 70 and 71 diagram the death of King Harold and many of his men. Not all things in the Bayeux Tapestry are this easily deciphered though. 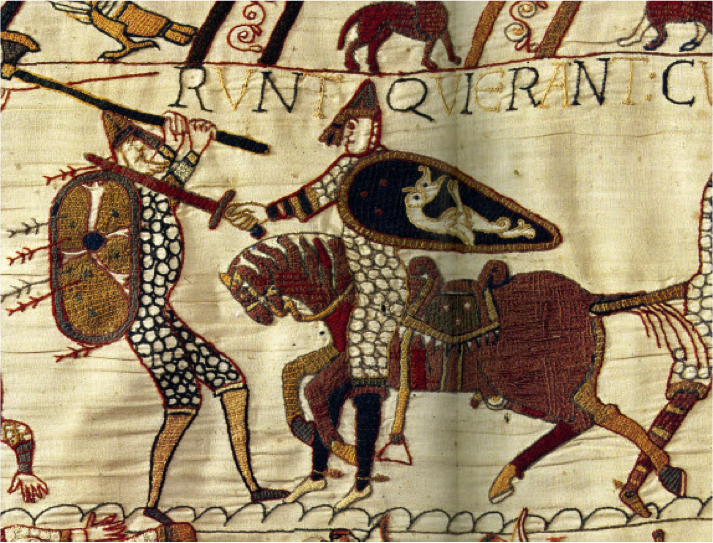 Detailed plate (pictured below) shows a Norman horseman cutting down an Englishman with a round shield. The thing that makes it odd is that the man on horseback is sitting on the neck of his horse instead of in the saddle. Seemingly all other cavalrymen in the tapestry are presented fighting firmly in their saddles. This presentation is not a mistake. 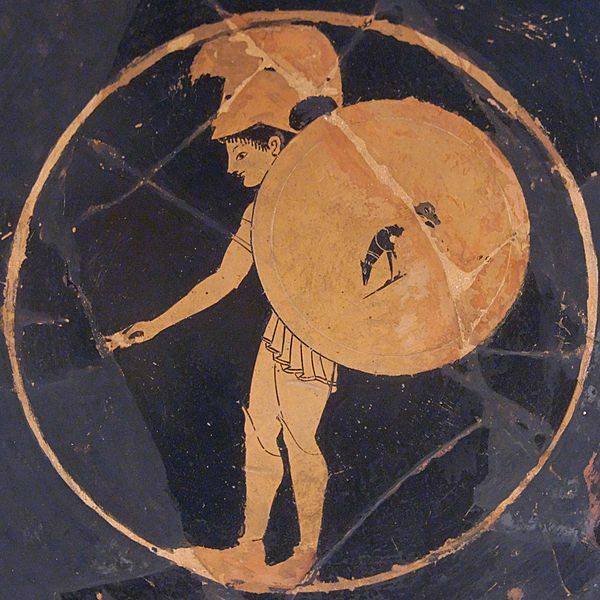 It is most likely that this frame refers to a specific event during the course of the battle (Wilson 194-195). Although this is reasonable to assume, the modern viewer cannot be sure whether this is the case, and if it is, which event is it. The reason for this is that there is no known account of this specific event that survives (Wilson 195). Perhaps it is sensible to infer that the audience at the time of the tapestry knew what this small abnormality meant. However, today one cannot assume. Certain details either are not transcribed or are lost in translation. This is one of the constraints that one faces when trying to interpret classical and middle aged art. The Bayeux Tapestry contains a world of information to the modern viewer. Panel 70 gives a look into the final stages of the Battle of Hastings. The archers narrowing in on King Harold and the carnage around them give the observer a look into the past. While some things can be interpreted, others cannot. The tapestry leaves modern man to wonder about things such as specific events that may have been known at the time. Through both the known and the unknown, the Bayeux Tapestry has lent an air of excitement to scores of generations as well as many to come. Rud, Mogens. The Bayeux Tapestry and the Battle of Hastings 1066. Copenhagen: Christian Ejlers, 2002. Print. Wilson, David M. The Bayeux Tapestry. London: Thames and Husdon, 1985. Print. In designing a fictional castle many things must be taken into consideration. The defenses must be made impregnable. There must be a supply of food to nourish the defenders and the peasants who come inside the walls for safety. A castle must also provide space for defensive weapons as well. Our fictional castle was located on a precipice surrounded on three sides by the ocean. This left one road for attackers to use. To prevent this, we designed two walls with portcullises that ran the length of the Scottish isthmus that housed our keep. The first wall was composed of iron-reinforced wood; the second was composed of stone. The castle itself had an inner wall and an outer wall surrounding it. Archers manned the outer, 30-foot, wall raining down fire arrows on our adversaries. Trebuchets and catapults were situated on the inner, 60-foot wall. These provided a defense for our castle during an attack or siege situation. Located in the walls was a garden area that would provide our garrison with nourishment. There were also fields for grazing for goats, sheep, and cows that could also be eaten. In addition to this, holes, leading down to hidden caves, between the two walls provided us a route to get to the ocean to catch fish and collect other supplies. Together, these three attributes contributed to the safety of our people. The blueprint provided an unassailable barrier between them and the enemy. Also, the fields and garden provided food for our people to survive a siege. And finally, the width of the walls allowed our garrison and our people to create their own defense.